The days of lead wheel weights are numbered. While the federal Environmental Protection Agency has been slow to act, a number of state governments – California, Illinois, Washington, Maine, Vermont and New York – have banned the use of lead wheel weights. In addition, similar legislation is pending in Iowa, Wisconsin, Maryland and Rhode Is­land, with more states likely to follow. With the industry in a transitional state, tire dealers need to decide when and how to make the move to lead-free alternatives. For those in the states mentioned above, the decision is easy: make the transition by the legislative deadline or face significant penalties. Industry professionals recommend dealers in remaining states also make the switch to lead-free weights  even though they are not yet legally required to do so  citing several benefits to these dealers’ businesses, including: being able to take the time to make an informed, educated transition; boosting their shops’ reputations by promoting a “green” initiative; and avoiding having to scrap existing lead inventory when the transition eventually is required. With several manufacturers to choose from, there are plenty of alternatives and resources available. And with the cost of alternative zinc and steel weights becoming more in-line with that of traditional lead products, now is a good time to weigh your options. While the issue is relatively new in the U.S., Japan has been phasing lead out of its vehicles  including wheel weights  since 2001. In 2005, the European Union’s End of Life Vehicle Directive took effect, banning the use of lead in vehicles in Europe  including weights  with the goal of removing lead from the scrap vehicle-recycling stream. It was this legislation that was the catalyst for the lead-free wheel weight movement in the U.S., according to Kevin Keefe, vice president of marketing for Hennessy Industries, manufacturer of Bada steel wheel weights. North American vehicle manufacturers had to decide how they would comply with this new regulation on vehicles exported to the EU. General Motors took the position that it would be more cost effective and efficient to make the switch to lead-free wheel weights on all North American-produced vehicles, rather than maintain separate models or change out wheel weights at the port. GM switched to steel wheel weights across the board, followed by Ford, Keefe says. By the end of 2009, every North American vehicle manufacturer had switched to lead-free wheel weights. The OE change has trickled down to the aftermarket, resulting in major tire company-owned retailers, including Bridgestone Americas, making the transition. In addition, almost all of the 25 largest independent tire dealers also have either made or are in the process of making the transition to lead-free alternatives. In 2009, the U.S. EPA accepted a petition to begin rulemaking to ban lead wheel weights across the country. Until a national ban is passed, dealers must pay close attention to individual state legislation and penalties. Some examples of fines include: in Califor­nia there are penalties of up to $2,500 a day for each violation; and in Wash­ington, the first violation results in a fine up to $500 and all subsequent violations receive a fine up to $1,000. Why the move away from lead? According to the Illinois EPA’s Becky Jayne, lead is toxic to humans, fish and wildlife. When lead wheel weights fall off vehicles onto roadways and are degraded over time, they emit lead dust, which washes away and settles in soil and rivers. The federal EPA estimates that roughly 2,000 tons of lead falls off vehicles annually in the U.S. While manufacturers agree the majority of wheel weights currently used in the U.S. are still lead, all report the landscape is headed toward 100% lead-free alternatives. Hennessy’s Keefe estimates just over 50% of the U.S. wheel weight demand will be lead-free by the end of this year. Lead-free alternatives used today include steel, zinc and composite materials. Other materials originally studied were found to be unsuitable  bismuth, which proved to be too expensive, and tin, which has too low a density, resulting in a weight that is much too large and with a center of gravity that results in weight chasing and balance accuracy issues, Keefe explains. There are some aesthetic differences between lead weights and their zinc or steel counterparts, mainly due to different densities and manufacturing processes. There are slight differences between non-lead alternatives  zinc has a lower density than steel, resulting in wheel weights that are about 10% longer, according to Hennessy’s Keefe. Molinari notes that physical differences also vary based on the type of weight used  clip-on vs. stick-on, or adhesive. “Steel weights look different since many of them have the body affixed to the clip on the back,” explains Plombco’s Aiken. “Zinc weights are die cast like lead, so they actually look similar, though slightly larger. Perfect Equipment, Plombco and Wurth all offer full lines of zinc and steel wheel weights, while Hennessy’s Bada range is all steel. IMI and 3M offer different alternatives. 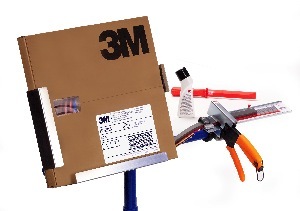 3M’s adhesive weights are offered as a complete system, which includes a roll of weights, a stand and a cutting device designed to measure the weight needed to the nearest gram, according to Kyle Lasenby, product/business marketing manager for 3M’s Automotive Division. The flexible wheel weight material comes in three profiles  one for balancing using the exterior plane and two for the interior  and conforms to any wheel shape, he adds. Both IMI and 3M note their products result in fewer SKUs dealers must carry. Each wheel weight manufacturer says its lead-free alternatives resist corrosion  an especially important issue in the case of steel. Hennessy’s Keefe says the coating technology of Bada’s weights offers nearly three times the corrosion resistance of the traditional polyester topcoat found on other steel weights and will not chip. 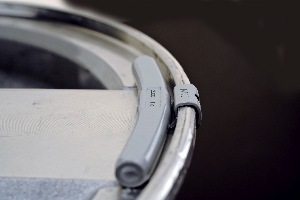 “Bada’s design incorporates the clip in the mass of the weight. The result is superior fit and retention, as well as a design that closely resembles traditional lead wheel weights in fit, form and function,” he adds. As mentioned above, dealers who opt for 3M’s adhesive system or IMI’s XactBalance technology face even fewer SKUs. While in the beginning cost may have been a deterrent to making the change, the price difference between clip-on and adhesive lead wheel weights vs. steel or zinc offerings is now minimal. Perfect Equipment’s Pursley says that early on, the cost of non-lead alternatives was two to three times the cost of similar lead products, but today that differential is less than 25% for a coated non-lead alloy wheel weight. IMI’s Hodge adds that improved balancer technology and extended OEM-recommended service intervals make using non-lead wheel weights more cost-efficient than in the past. And while XactBalance units cost “significantly more” than other wheel weights, they “deliver better performance because they constantly readjust based on changes in load, speed, temperature and treadwear throughout the life of the tire, resulting in higher customer satisfaction ratings,” he adds. Why make the non-lead transition early? A handful of wheel weight manufacturer representatives offered final remarks about why dealers should take a proactive approach to the inevitable process  reasons that cover an economical, environmental and business-savvy spectrum. “Dealers will just be getting a step up on a process that will affect them likely sooner rather than later,” Plombco’s Aiken notes. “When you consider that 2,000 tons of lead wheel weights are distributed to the pavement of our roads each year, plus the possible health effects lead in the immediate environment can have in brain and nervous system disorders, the choice should be easier to make,” Wurth’s Molinari says. 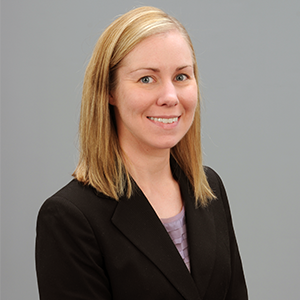 “If you wait until you are compelled to switch, it will likely be a costly changeover,” Keefe explains. “As we have seen with those who made the switch in advance of legislation, taking control of your own conversion timetable will result in a much more smooth and cost-effective transition. “Also, all the major North American manufacturers currently are running at least two separate production operations  one for lead and at least one for lead-free wheel weights,” he continues.